Every computer with the ability to connect to the network has one or more MAC (media access control) addresses. The MAC address is used as a unique identifier. Commonly, this is used to allow an IT Pro to reserve an IP address for your computer. However your MAC is considered private within your local network, and is not passed across network boundaries. 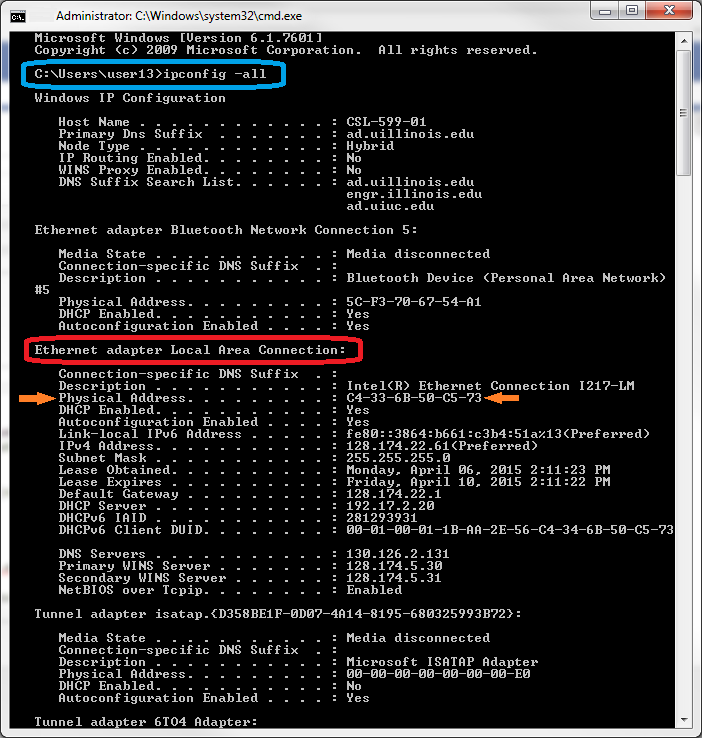 Below are instructions for finding the active MAC address of your computer, for Windows, Mac, and Linux. Here is a link to some alternate instructions for several operating systems. 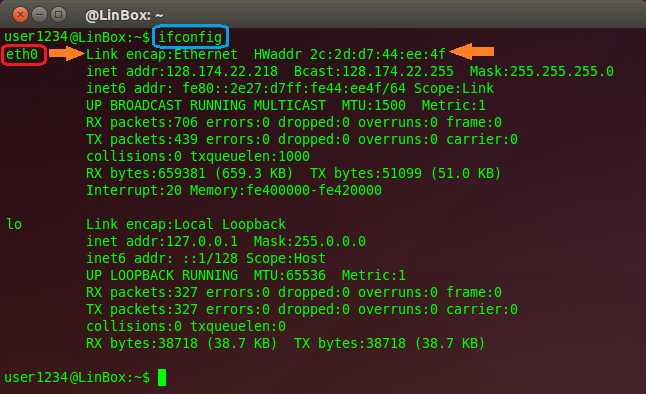 If you are on a wired University network, and your network connection is already working properly, you may be able to use our My MAC Address tool to automatically find your MAC address (based on your current IP address, from university network logs). 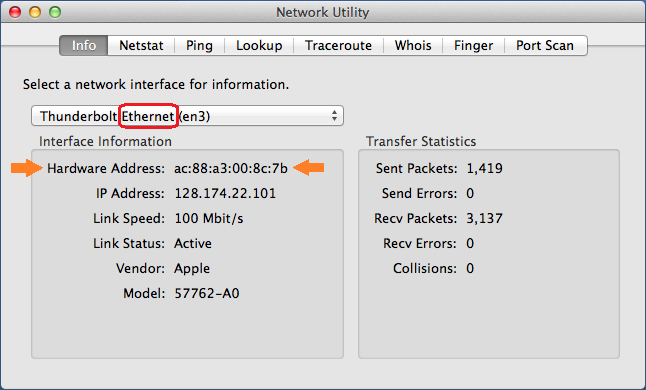 - a) find the section containing the words "Ethernet adapter Local Area Connection"
- b) your Ethernet MAC will be listed as "Physical Address"
- a) from the drop-down menu, select the option containing the word "Ethernet"
- b) your Ethernet MAC will be listed as "Hardware Address"
- a) find the section containing "eth0"
- b) your Ethernet MAC will be listed as "HWaddr"